Now you can give your manual CMM the power and versatility of a motorized probe head. 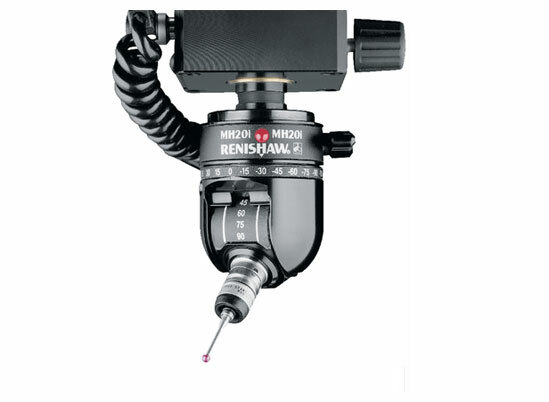 The Renishaw Manual Indexable Head (MIH) is fully adjustable with 720 head positions (same as the motorized PH9) over two axes. All you have to do is unlock the head and move the probe to the position you want. A LCD digital readout shows the probes exact position and, because of high repeatability, you do not have to requalify the probe after moving it! You can program the MIH to memorize up to 19 head positions in order. Direction arrows on the DRO guide you to the next head position. Complex measurement routines can now be programmed on your manual CMM. The MIH is designed for use with the Autojoint TP6A touch probe which recesses into the MIH’s body saving precious Z travel. TP2, TP20 and TP6 probes can be used with the PAA1 adaptor. The MIH also makes the ideal back-up to PH9/PH10 systems. The MIH has a 5 Pin DIN connector. (Probe cable not included). MIH Probe Head with S10 joint key, user manual and shank (please specify). Repeatable Indexing operation allows for pre-qualification of the Probe Tip positions needed for the whole day’s inspection. Adding a TP20 Touch probe with quick change modules adds the capability qualifying different tip sizes also for quick stylus changing. 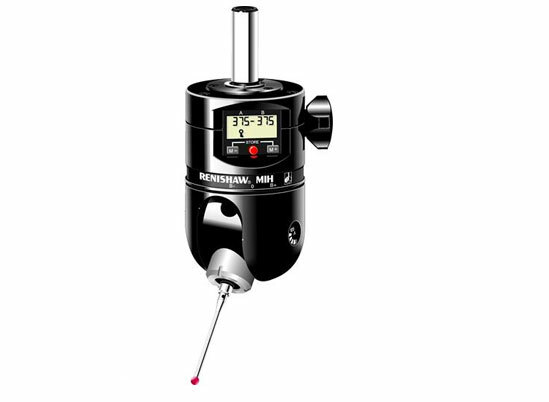 A manually indexable head, repeatable in 720 positions over two axes with LCD display. 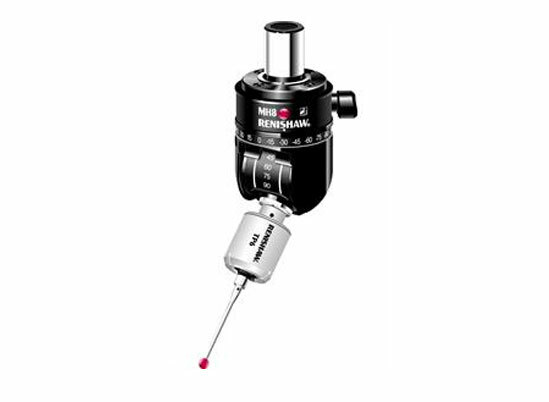 The MIH is designed for use with the autojoint TP6A tough probe and long extensions for large components. 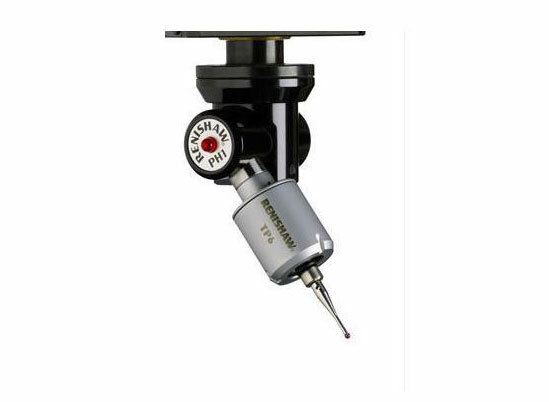 The new Renishaw MH8 Probe Head combines all the features of the popular MIP probe, like 168 repeatable indexing positions over two axis and compact size, but allows you to use your existing M8 thread touch probes like the the TP2. The MH8 allows you to qualify the probe once and then then index the head without requalifying. The M8 mount allows you to use extensions for hard to probe features. The MH8 does not require batteries and will work on all virtually all CMM applications. A swivel head, adjustable in both the A and B axes, with limited overtravel protection. The probe is offset from the mounting shank Z axis.